KHalili, K., Ahmadi, F., Dinpashoh, Y., Fakheri Fard, A. (2013). Determination of Climate Changes on Streamflow Process in the West of Lake Urmia With Used to Trend and Stationarity Analysis. International Journal of Advanced Biological and Biomedical Research, 1(10), 1220-1235. Keivan KHalili; Farshad Ahmadi; Yagub Dinpashoh; Ahmad Fakheri Fard. "Determination of Climate Changes on Streamflow Process in the West of Lake Urmia With Used to Trend and Stationarity Analysis". 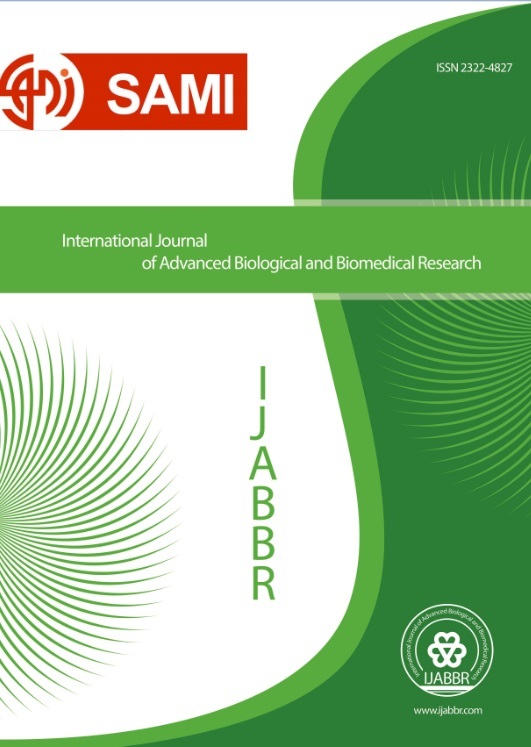 International Journal of Advanced Biological and Biomedical Research, 1, 10, 2013, 1220-1235. KHalili, K., Ahmadi, F., Dinpashoh, Y., Fakheri Fard, A. (2013). 'Determination of Climate Changes on Streamflow Process in the West of Lake Urmia With Used to Trend and Stationarity Analysis', International Journal of Advanced Biological and Biomedical Research, 1(10), pp. 1220-1235. KHalili, K., Ahmadi, F., Dinpashoh, Y., Fakheri Fard, A. Determination of Climate Changes on Streamflow Process in the West of Lake Urmia With Used to Trend and Stationarity Analysis. International Journal of Advanced Biological and Biomedical Research, 2013; 1(10): 1220-1235.